Employee referral software helps HR personnel, recruitment professionals, and hiring managers oversee employee referral programs (ERPs). These solutions provide a platform in which employees can refer friends, leverage their networks, and participate in company-wide hiring campaigns. Employe referral software increases employee engagement by incentivizing employees to become brand ambassadors; this is accomplished through participation in social sharing via engagement tools such as gamification. These solutions also incentivize employees to participate in the recruitment process by offering and managing referral payout bonuses. Employee referral software often provides access on all devices so employees can be empowered to refer qualified candidates at any time and in any place. Employee referral software often integrates with applicant tracking system (ATS) software or core HR software. Employee Referral reviews by real, verified users. Find unbiased ratings on user satisfaction, features, and price based on the most reviews available anywhere. Leverage your employees' connections to identify, engage, and hire top talent. 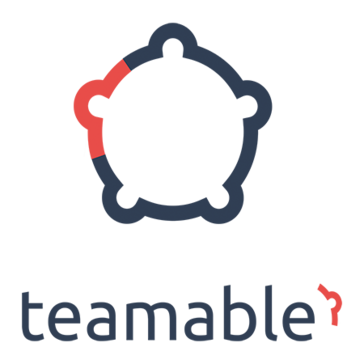 Teamable is the only system to ensure you are spending time pursuing the right talent. An overview to our effective solutions for talent acquisition. Including Referrals, Apply, Internal Mobility and Integrations. Talentry’s recruitment marketing platform provides solutions for Candidate Relationship Management, Employee Referrals and Employee Advocacy - enabling companies to tap new sources for talent leveraging their employees’ social networks, strengthen the employer brand by distributing relevant content and build and maintain relationships with candidates. The platform provides lead generation, talent pool building, talent lead nurturing and conversion of leads into applications, and ultimately connects high quality talent with open positions. In addition to accelerated time-to-hire, companies benefit from more qualified candidates and lower cost-per-hire. Talentry integrates with applicant tracking systems to provide a seamless candidate journey. It's time to redefine the future of recruitment - let's connect so we can share our vision with you. EmployeeReferrals.com helps companies streamline their employee referral program, maximize employee engagement, and automate recruiter tasks with seamless ATS integration. We create engaging experiences through creativity & craft in the very heart of Europe - Kiev, Ukraine. Facilitating referrals in recruitment. Invite only. Helping the best recruiters make more placements through applications and referrals. Helps employers and staffing firms fill their jobs faster through referrals. 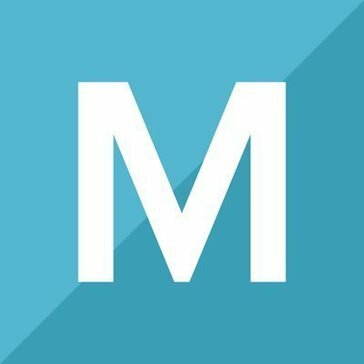 JobzLab is an easy to use and secure social bounty marketplace that enables EVERYONE to be recruiters.JobzLab takes care of all bounty payments for employers. Employee referrals are your number one tool for talent acquisition. Real Links is a transformative online platform which rocket fuels employee referrals for companies by matching the best candidates in employees’ networks to jobs. The platform enables companies to find great referral candidates who are more likely to be hired and have a much higher retention rate, while reducing recruitment costs significantly. Referagig is an employee referral program automation and recruitment marketing solution. REFFIND is a mobile employee engagement app that is redefining the way organisations communicate with their employees. The Talent Recommendation Graph Cut 94% of sourcing costs, improve diversity, and double retention. The strongest teams are built through employee referrals. SociallyHire is an online platform designed to allow organizations to quickly hire quality talent through the social media networks of employees. VouchFor is a customer reference management software used to build a referral reward offer that entices your customers to vouch for your business. WorkTaps is an employee referral platform that helps businesses find top-quality hires faster. Hi there! Can I help you find the best Employee Referral solutions?